I’m flying out tomorrow (Apr 21), heading to Germany, first visiting friends then family, and beginning a short 450 km section of the Via Regia on May 4th. 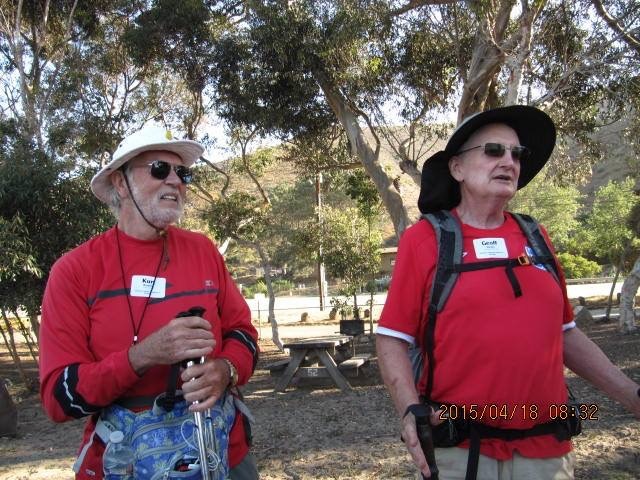 The attached photo shows my good friend and walking buddy Geoff (on the right). We just finished leading a group of 16 pilgrims on a 11-mile hike with 1000-ft climb. Both of us are ready for some hiking: he on the Portuguese Camino and I on the Via Regia. Just a suggestion to folks that comment. This is what you get when you do a : ) happy face. Warning.